1 of 1 In a medium bowl, mix 2 1/2 cups Nilla wafers cookie crumbs, 1 1/4 cups confectioners' sugar, 2 tbsp finely ground hazelnuts, 1/4 cup bourbon, 2 tbsp unsweetened cocoa powder and 3 tbsp light corn syrup. Press together all ingredients in bowl to form a large ball. Using 1 tbsp mixture for each, form into small balls; place on wax paper. Place 1/3 cup granulated sugar in a small shallow dish. 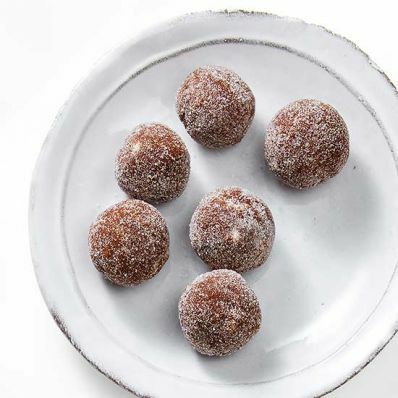 Roll balls in sugar to coat. Store in a tightly covered container for at least 24 hours to let flavors develop.